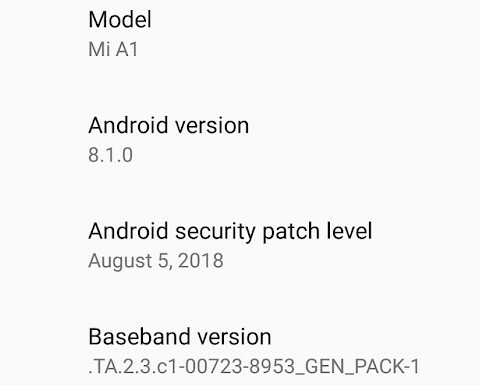 Xiaomi's popular mid-range Mi A1 smartphone continues to receive full software support, the latest update for this handset bringing the official security patch dated August 5. 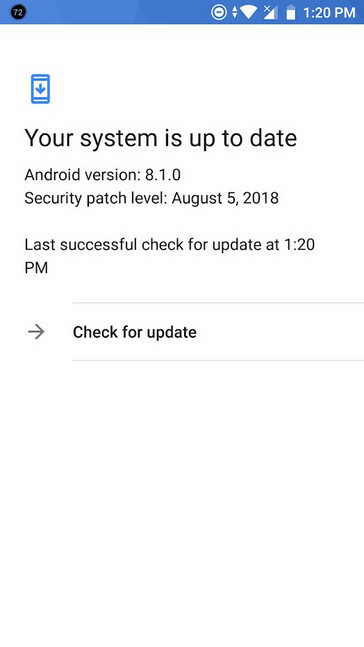 Even better, the new firmware also addresses the notification LED bug that arrived earlier this summer with the Android 8.1 Oreo update. 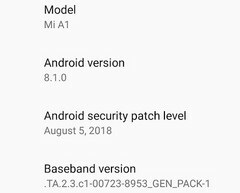 Back in mid-July, I — just like many other Xiaomi Mi A1 users all over the world — was happy to finally receive the Android 8.1 Oreo update. At first sight, there were no annoying bugs hidden inside it. However, I was soon able to notice that the notification LED was no longer blinking when it should have. Not a severe bug, but definitely one that I was happy to see gone earlier today, after applying the latest software update for the Xiaomi Mi A1. 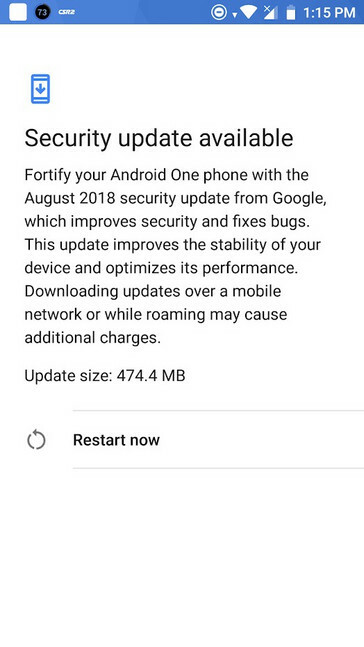 In my case, moving on from Android 8.1 Oreo with the July security update installed to the August security patch required the download of 474.4 MB of data and around a minute for the whole update process to complete after that. Not a big thing for those on fast 4G LTE or connected to a WiFi router, but definitely something to avoid when using a slow data connection and also facing the risk of having to pay additional fees for exceeding data limits. As you can see in the screenshots below, the update details reveal nothing interesting and — as far as I can tell you after a few minutes of browsing around my updated phone — there are no new features to talk about. However, the increased security and the disappearance of the notification LED bug are enough to keep me happy. If you are a Xiaomi Mi A1 user and managed to notice any other changes that came with the August security update, share your experience with the others in the comments. However, those who might still be using Android 8.0 Oreo on this phone should take a look at the video below to see what they're missing and move up to Android 8.1 as soon as possible.